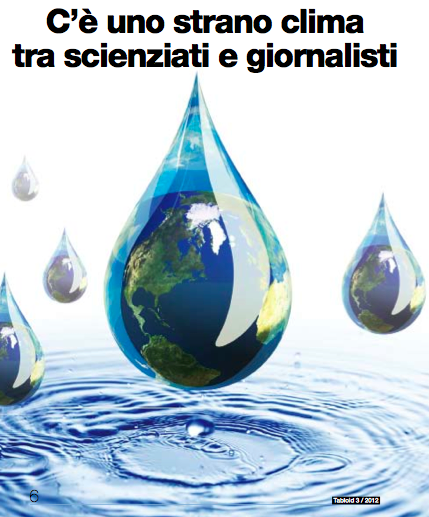 L’ultimo numero della rivista Tabloid dell’Ordine dei Giornalisti della Lombardia ha di nuovo in copertina un tema legato alla scienza, oggetto di un’inchiesta curata da Marco Ferrari, coordinatore del gruppo di lavoro “Ambiente e media” di Swim, e di un approfondimento di Fabio Turone sul ruolo avuto dal Science Media Centre britannico nel rimettere sui binari della chiarezza e completezza dell’informazione la controversia seguita al cosiddetto “Climategate” innescato da alcune e-mail trafugate dai computer dell’Università dell’East Anglia. L’inchiesta può essere scaricata in pdf. The following article, by Swim board member Daniela Ovadia, has just come out in the newsletter of EUSJA. 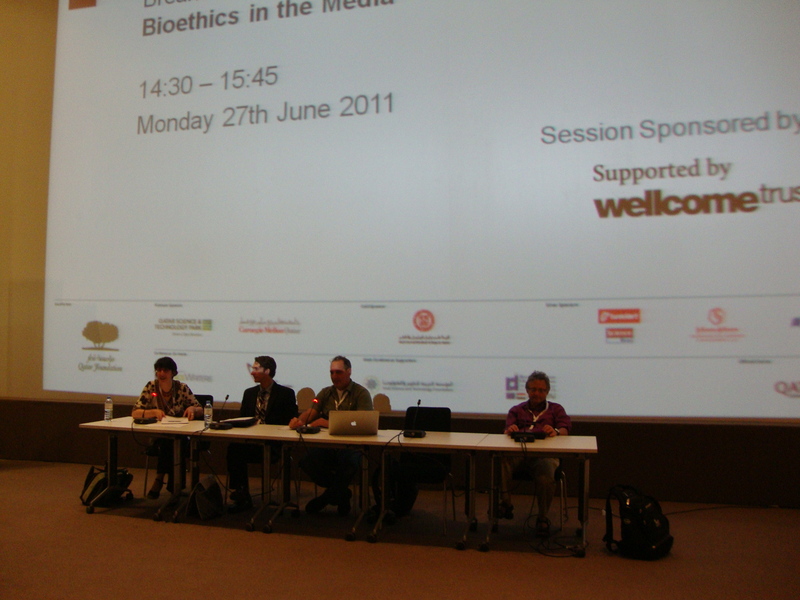 European science journalism was represented at WCSJ 2011 in Doha also by two panelists from Italy: Fabio Turone, who produced a panel on the communication of risk, and myself, in charge of a session on bioethics. Moderated by Wilson Da Silva, editor in chief of Cosmos, the most widely read science popularisation magazine in Australia, the panel on risk offered three very diverse points of view on the issue. 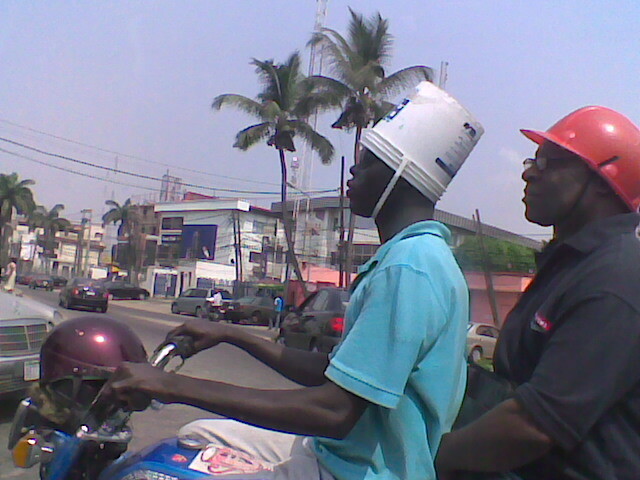 Nigeria’s Akin Jimoh, who is the anglophone coordinator for the SjCOOP mentoring program of the World Federation of Science Journalists, discussed about the many difficulties a reporter has to overcome when trying to involve the population of African countries in the debate on risk, difficulties summarised in the picture of two motorbike riders wearing ludicrous – but not uncommon – substitutes for the helmets mandated by the law. The lively and entertaining contribution by former TV reporter David Ropeik, book author and instructor at Harvard, focused on the elements that contribute to make objective hazards more or less scary, which should be known and used with caution by media professionals: from trust to familiarity, from choice to uncertainty through the dualism between risk and benefit, natural and man-made and between catastrophic and chronic, and more. His extensive research on the perception of risk was recently summarised in the book “How Risky Is It, Really? : Why Our Fears Don’t Always Match the Facts”. Finally Fabio Turone analysed the available medical litterature on the quality of health and specifically risk reporting, to stress the importance of providing lifelong training for science journalists by journalists, specifically to practice and reinforce a critical approach. He presented the existing attempts at establishing a stronger and more effective alliance among scientific institutions, health policy makers and the media professionals in which the latter are considered “professional equals”. From left: David Ropeik, Fabio Turone, Akin Jimoh and the moderator Wilson Da Silva. Bioethics is more and more important in health reporting. It’s harder and harder for a science journalist to separate opinion from scientific evidence in topics such as end of life decisions or the assessment of consciousness and coma. 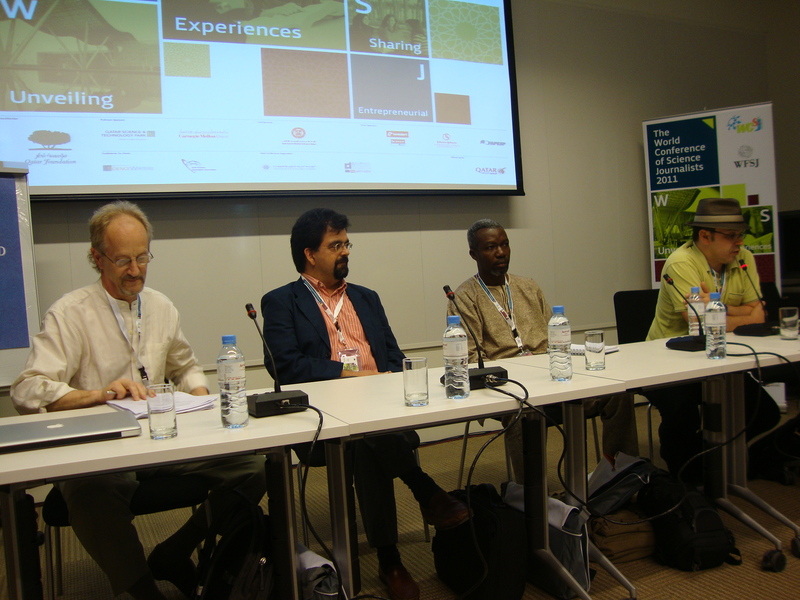 The panel in Doha was composed by journalists from the US – Joe Palca, science correspondent from NPR, and Jon Cohen, correspondent with Science who acted as moderator – the Canadian bioethicist Eric Racine, from Mc Gill University in Montréal, and myself. Racine illustrated his research on media reporting in cases that have a strong bioethical angle, especially with regards with neurology and neuroscience. He discussed the media coverage of the Terry Schiavo case in American and British newspapers through the analysis of the language used to describe her medical history, the most common mistakes in reporting and the misunderstanding of the experts’ comments. Joe Palca discussed the hypes and hopes of stem cell research in neurological diseases and raised the question of how to report such an important issue. Finally I summarized two important cases involving end-of-life decisions that were debated in Italy for many years: the case of Piergiorgio Welby (an ASL patient who asked to withdraw assisted ventilation) and the case of Eluana Englaro (a coma patient with many similarietis with the Schiavo’s story). The speech benefited from the work by Gianna Milano, an Italian colleague who followed both cases for many years but could not attend the Doha conference. From left: Daniela Ovadia, Eric Racine, Jon Cohen and Joe Palca. The final discussion on the role of science journalism in ethical and scientific controversies sparked a debate about the difference between informing and teaching. The majority declared that the role of journalists is to inform and not to teach nor to judge the experts’ or the families’ position. An interesting part of the discussion involved colleagues from Islamic countries, where the bioethics debate is still in its infancy but is an emerging issue. The following article by Swimmer Nicola Nosengo has just come out in the newsletter of EUSJA. According to “Nature”, the trial that began in the Italian city of L’Aquila on September 20 will be a “watershed case”, one that will force seismologists worldwide to rethink the way they do their job, and the way science is used by policy makers. 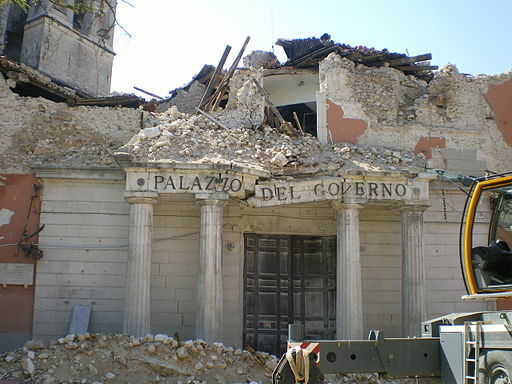 In the trial, six Italian scientists and one government official who assessed the seismic risk in the Italian region of Abruzzo before the earthquake of April 2009 are indicted for manslaughter. But the case, which will go on for a year at least, is also a test for scientific journalism, and a tough one for sure. Getting the facts right (the first duty of a journalist) is not easy, to begin with. It is a messy story, made even more complicate by the typical Italian mix of bad politics and riddled bureaucracy. Not surprisingly, many newspapers have chosen the easy way out, describing a “trial against science” where seismologists are oddly accused of “failing to predict an earthquake”. The accusation is surely questionable, but is actually very different. It revolves around a meeting of the Major Risks Committee, a group of consultants to the Italian Civil Protection, held in L’Aquila on March 31, 2009, one week before the devastating earthquake which hit the city on April 6, killing 309 people. The population in L’Aquila was very alarmed at the time, after four months of continuous seismic activity, and the six scientists were asked to assess the probability of a major shock and its possible impact. The outcome of a meeting was a press conference where a Civil Protection official, who had chaired the meeting, said more or less that the seismic activity in L’Aquila was “certainly normal” and posed “no danger”, adding that “the scientific community continues to assure me that, to the contrary, it’s a favorable situation because of the continuous discharge of energy”. Now comes the messiest part of the story. The public prosecutor of L’Aquila contends that some of the victims (32 of them) were so afraid at the time that they were about to leave their homes, or at least sleep in their cars to reduce the danger, but changed their mind after hearing that press conference. The prosecutor does not accuse the scientists of a wrong prediction. But he notes that those statements about the “discharge of energy” have been criticized by most seismologists as scientifically unfounded (matter of fact, they do not appear in the minutes of the meeting). The accusation, in other words, is to have misinformed the public with an exceedingly reassuring (and unscientific) message, thus leading some people to abandon precautions which may have saved their life. The long paragraph above is enough to show some of the difficulties this story poses for science journalists. It takes many words to explain it, even on a basic level. When covering a science story, we are used to sacrifice most of the facts and concentrate on the few fundamental ones, skipping the details. But here the details are essential (as it usually happens in criminal trials,) and leaving even one element out of the story (the meeting, the press conference, the scientific consensus on seismic swarms, what the victims did and what their relatives say they were going to do, the timing of it all) results in distorting it. Also, this story forces the reporter to combine and master very different languages. On one side there is seismology (a scientific discipline where uncertainty reigns), on the other there is criminal law. Even when the two disciplines use the same words, they are often meaning very different things. Not surprisingly, some scientific media have chosen a partisan approach, acknowledging that the accusation is less absurd than it may seem (in other words, that it is not about earthquake prediction) but taking side with the scientists: it is the case of New Scientist, for example, which published a long commentary by Thomas Jordan, a highly respected American seismologist who will testify in favour of the defendants. Others, notably Nature, have taken a more nuanced position, reporting extensively on the view from L’Aquila, particularly from the victims’ relatives, and stressing that scientists have lessons to learn from the case. Strangely enough, the case has raised much more interest abroad than in Italy, where national media have hitherto paid little attention to it. That is a shame, mostly because no one is questioning the role played by those very media in the case, and what media professionals, in Italy as elsewhere, could learn from it. The media are not at the bar (and rightly so). But it was the media that conveyed the messages, right or wrong, which are now at the center of the trial. TV stations edited and broadcasted those reassuring statements. Local papers reported about the press conference. Many of them were giving space and resonance to the so-called “predictions” by Gioacchino Giuliani (an amateur seismologist who alarmed the population by announcing a strong earthquake in the region, though in a different area), which played a big part in complicating the work of the committee. At the trial, one of the scientists’ lawyers has explicitly accused the mass media of distorting the scientific message of the meeting, implying they, and not the scientists, are responsible for what happened. She is largely wrong. The media have their own logic, and it is the work of public officials and risk communication experts to learn how to work with them in order to get the right message to the population. Still it would be a waste if journalism, in Italy as elsewhere, did not use this chance to reflect on its role in risk communication. Batterio killer e altre minacce: come parlarne sui media? L’Ordine dei Giornalisti della Lombardia, nel quadro della propria attività di formazione professionale, ha organizzato un seminario che, grazie alla presenza di scienziati esperti nel settore, responsabili di sanità pubblica e colleghi specializzati in giornalismo scientifico, si propone di fornire gli ultimi aggiornamenti sull’epidemia da Escherichia Coli in atto in Germania, sui rischi che corre la popolazione italiana e, più in generale, su come vengono affrontate queste tematiche sui media. L’incontro intitolato: “Batterio killer e altre emergenze. Come i media possono comunicare l’incertezza col rigore della scienza” si terrà ERRATA CORRIGE: mercoledì 22 giugno 2011 alle ore 15:00 presso il Circolo della Stampa di Milano (Corso Venezia, 48), con la presenza di Giorgio Varisco, Direttore Sanitario dell’Istituto Zooprofilattico Sperimentale della Lombardia e dell’Emilia Romagna (Brescia); Piero Frazzi, Responsabile del Servizio veterinario Regionale della Lombardia; Edgardo Valerio, Dirigente del settore Igiene degli Alimenti e Nutrizione – ASL Milano, e con la partecipazione in videoconferenza di Alfredo Caprioli, Responsabile del laboratorio di riferimento europeo per l’Escherichia Coli presso l’Istituto Superiore di Sanità. Modererà Fabio Turone, giornalista scientifico, presidente dell’associazione SWIM-Science Writers in Italy.